Navigation: Home > News > Politics > Imo 2019: Why Orlu Zone again? Imo 2019: Why Orlu Zone again? 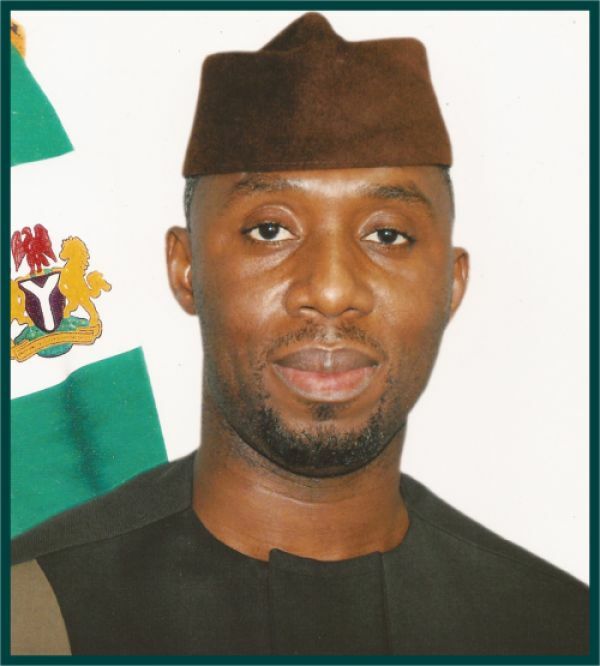 •Governor Okorocha’s son-in-law and favoured successor Uche Nwosu. There have been various reactions to my article of May 20, 2017, calling on credible Orlu sons and daughters to indicate interest in the 2019 governorship election in Imo State, captioned 2019: From Orlu Zone, Who Can Stop Okorocha’s Anointed Candidate? Though a few questioned my alleged preference for Hon ThankGod Ezeani, the reactions centred on the rationale of bringing Orlu zone in the 2019 governorship picture of the state again. Nevertheless, there were also those who praised my intervention and accused Owerri zone of destroying zoning in the state, and thus opined that capability and good governance centred on what they termed “true democracy” should occupy the centre-stage. People have really said so much. While all the arguments have their merits and demerits, I will endeavour to explain why I think Orlu sons and daughters should throw their hats in the ring, wear their gloves and get boxing, again. First, is the argument that the “party in opposition does not do zoning.” The zoning arrangement had a very bright chance to flourish and deepen in the state. This is not to say that there are no merits in the arguments for zoning at the moment. Rather, if we need to restore the zoning arrangement, we really need to put someone and a party in place that has the capacity to return the state to the path of unity, peace and progress. Even though those who gave us the Greek gift in 2011 thought they had an agreement with the man that was on his way to the presidency, but “merely needed to stoop so low to rescue” the state for just one term and move on to the presidency where his stars rested, we have seen that these men did not have the least respect for agreement of any sort. All they crave is raw power, and when they get power they use it in oppressing the very people they promised to rescue. They prefer the use of poverty as legitimate instrument of oppression, only to appear messianic when they begin to dispense favours. No one can pretend that the issue of zoning the governorship of Imo State, especially for 2019, has not been a very hot one, dominating political discourse for months now. This is exacerbated by the fact that the governor wants to install his son-in-law as successor, against the zoning formula which was put in place for close to two decades ago. In 2019, Imo people should look for someone that can wrestle with the group that has amassed wealth and built intimidating war-chest ahead of the 2019 governorship election in the state. They have not only amassed wealth, they have begun dispensing wealth and favours to certain “stakeholders”, including churches and the indigent, for the purpose of the 2019 governorship election. Some of the beneficiaries of the Ugwumba favours in the recent time come from Owerri zone. 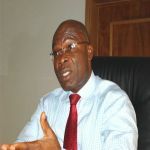 The dispensing of favours or donation of cars to individuals by the son-in-law and Chief of Staff to the Governor, Uche Nwosu, is part of the marketing strategy, to present him to the populace as a harmless dove, whereas what is being packaged and presented could turn out to be wolf in sheep-clothing. Imo people should open their eyes and guard their houses so that the thief does not come in the night through the window and steal us blind. If we must achieve this, therefore, we need credible people from Orlu zone to rise to the challenge and be involved. There can be no successful argument against the imperatives of zoning, as it enhances unity and fairness to all the zones of the state; but the government in power is against the zoning arrangement, with the claim that zoning no longer exists. This position cannot be said to be the position of the entire Orlu zone, as there are several men and women who dream of a peaceful and prosperous Imo State, where we live as brothers and sisters. To do this, we need a thorough-healing of the land, by ensuring that those who brought us to this sorry passé do not have their way in 2019. If the incidents of 2011 and 2015 should be reckoned with; there is no gainsaying that there is need for someone with the right credential to restore and put into force the vexed issue of zoning, because from all indications, the majority in the state appear to be on the side of zoning. The need for capable and credible personalities in Orlu zone to rise to the occasion is supported by the compelling argument that no opposition party can effectively zone its governorship, because it is not in the position of the opposition party to zone what it does not yet have. This is made worse by the fact that the governor does not want to respect the zoning arrangement put in place before the 1999 general elections. 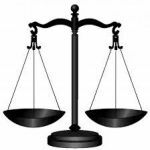 Again, Owerri zone’s claim to zoning in 2019 is replete with injustice. We cannot, therefore, forget the injustice and accident of 2011 in a hurry, which was repeated in 2015. It is in the history books that in 2011/2015, Owerri zone led the battle that fought Ohakim to a standstill, against all wise counsel. Owerri Zone was told in clear terms that it was better for them to respect the zoning arrangement as they would get their turn in 2015. But they obviously did not take wise counsel. In their impatience, they have waited for eight years. And, as the eight years nears its excruciatingly painful end, Owerri zone is now back to their senses. They now claim it is their turn to produce the governor in 2019. But this can be most unfair. Not only that, they have been told in clear terms by the governor that they should forget any claim to zoning. This leaves us with the question: what next should we do? That is the point. It is very much easy to give banana to a monkey, but getting it back is the problem. Therefore, Imo people should seek the man that has the right mindset and capacity to collect the meat from the lion’s mouth. I have asked the question severally, that if Owerri zone had the power to produce the governor in 2011 and 2015, and they have always bragged about doing so, what prevented them from producing one of their men in 2015? Think differently, if Owerri people thought that Ohakim did not do well, what stopped them from voting in another man from Okigwe zone, in keeping with the zoning arrangement? It is not questionable that Owerri zone determined the election for Rochas in 2011, especially during the supplementary election that was scheduled to hold in Mbaitoli LGA, Ngor-Okpala LGA, Oguta LGA and parts of Owerri North. Eventually, the supplementary election result from Oguta had a k-leg, because the planners of the accident feared that had the dreaded Senator Francis Arthur Nzeribe, working with other Oguta sons and daughters returned Ohakim in the election, that would have done all the magic. Oguta has been a PDP domain. So, the best strategy conceived was to frustrate the election in Oguta. Oguta was like a war zone that day, as everyone in Imo State emptied into the area for the sole bid to ensure that Ohakim did not return. Once this was done, all hopes and attention were shifted on Owerri zone. Ohakim begged and crawled. He promised the promisables. But all fell on deaf ears. It was the three LGAs in Owerri zone that voted overwhelmingly for Rochas in determining his victory in 2011. This was after Orlu zone had exhausted their strength against their own flesh and blood, because they believed in live and let live. Owerri zone said they could never be tired of an Orlu man. In 2015, Owerri zone did not learn any lessons. Their sons and daughters had indicated interest in the governorship seat. One of them was their prominent son who was the deputy Speaker of the House of Representatives, under the PDP. He had a brighter chance of beating the incumbent, but this did not work. He suffered the most excruciating and dumb-founding defeat ever recorded in the political history of the state. Other sons of Owerri that ran for the governorship seat in 2015 included Capt Emma Ihenacho, Mr Ken Ojiri and Dr Desmond Imo Ukanacho. But instead of sticking to one of their sons and making him governor, Owerri zone looked the other way, and crowned Okorocha for the second term. Regrettably, the PDP governorship candidate who was a prominent Owerri son won with less than 1,000 votes in Ngor-Okpala, and the rest five LGAs in Owerri zone overwhelmingly and shamelessly voted for an Orlu man. What this signposts is that they are not yet ready. This digging of one’s own grave by the people of Owerri Zone is still hunting them. 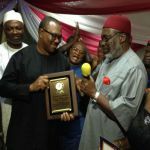 These days the media have been awash with the exploits of Owerri zone in the making of Governor Okorocha. Today, he has become the bristle in their skin. This generates the question: If Ihedioha was a bad man – put the other way – if Owerri people did not want an Mbaise man for governor, why didn’t they vote for any of the three other candidates, such as Iheanacho who ran under APGA, Ukanacho, who ran under UPP, and Mr Ken Ojiri, who ran under Accord Party? Owerri people could have demonstrated to the rest of the state that they were really bargaining for the governorship of the state and ready to take it by giving bloc vote to any of their sons, whether he won eventually or not. This would have given the needed impetus to the claim by Owerri zone for the governorship seat. This bad politicking, and shooting of oneself in the foot exemplified by the people of Owerri zone, is antithetic to the mentality of the people of Orlu zone. This conduct was exemplified in 2007 by the people of Orsu from where Chief Festus Odimegwu comes. He had been told to step down from the governorship race and he agreed and addressed his people accordingly. But despite that he had withdrawn from the race, the 265 delegates from Orsu voted for Festus Odimegwu in bloc, and that was the whole vote he had. This is unlike the attitude exhibited by Owerri people, who would sell their brother with a visit to the Government House. Ask Hon Uche Onyeaguocha. He understands what I mean better. Third, it is very clear to all the leading politicians in Owerri zone by this time, that Okorocha wants his blood-line to succeed him. This is the attitude of every emperor and dictator, because they always want to strengthen and expand their empire. Knowing this, it will be very dangerous to leave the entire Orlu zone for Okorocha to deal as he would in 2015. If we make the mistake and leave the entire Orlu zone to Okorocha, the average Orlu man would vote for Uche Nwosu as their brother. That would give him 12 LGAs, and he would only need to strike a deal with a federal constituency in Owerri zone, and that would be it. If this is allowed to be perpetrated, let no one say I did not sound the trumpet from the mountaintop, like a watchman keeping guard over a city. 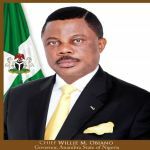 What would happen if prominent Orlu indigenes do not wade in to battle for the soul of Orlu zone and, indeed, Imo State with the governor in 2019 is that, after eight years, Okorocha’s son would be of age to be the governor of the state, especially with the clamour for a youth to become governor. Nwosu would have no other choice than to hand over to Okorocha’s son in 2027. Perhaps, then Okorocha’s son would get a wife from a prominent family in Owerri zone, and that would be the beginning of Okorocha’s dynasty in Owerri zone. If we must avoid this from happening, people like Senator Osita Izunaso from Orlu zone, who is a top member of the ruling APC, should step in and do the war-war. Izunaso is an elephant: you ignore him at your own peril. He has the deep pocket and sophisticated war-chest to do the battle. Born on October 30, 1966, he graduated from the University of Jos in 1989, and in 1998 he bagged his post-graduate degree in Journalism from the University of Abuja. In 2002, he bagged his MBA from the University of Calabar. 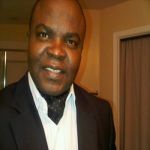 Izunaso had been chairman of RHAS and managed Concorde Hotel, Owerri. He was also chairman of the Statesman Newspaper. He was a member of the House of Representatives before he was elected to the Senate. He was defeated by the incumbent Senator Hope Uzodimma. His attempt to return to the Senate in 2011 and 2015 were shattered by the same incumbent senator. While in the House of Reps, he served as House committee chairman on housing. How much of this was felt back home is still a matter for debate. Nevertheless, the divisions in APC in Imo State remain a huge challenge to his becoming governor in 2019. Though by political contact, exposure, experience and education he towers above Uche Nwosu, many ask whether he can match the governor with the entire arsenal in his amoury. With his Kpakpando Foundation doing wonderful things for special citizens, there is still the question of whether his popularity cuts across the 27 local governments of the state, outside the 12 domiciled in Orlu zone. This is also outside the argument that anybody who has been in government for a long time makes a lot of political enemies, real and imagined. Many people have said that Uzodimma will run for the governorship in 2019. On the other hand, many also doubt it. They express the fear that the senator would only strike a deal with the governor for some compensation in cash and few appointment slots, just the way a senator from Okigwe zone did in 2015, and then paved the way for the governor’s anointed man. They claim that he won’t run for the governorship of the state and won’t even run against the governor’s rumoured intention to go to the Senate. The fear expressed is that this option is akin to allowing Rochas go on to produce Nwosu as governor unchallenged from the Orlu axis. They also claim he did same in 2015 and allegedly worked against the interests of his party, and returned to the Senate. Of course, we cannot ignore Hon Mayor Eze who, in local parlance, has become the early-crower, by declaring very much on time his intention to contest the governorship of the state in 2019. He is a political maestro, having served as the executive chairman of Orlu Local Government Area and as chairman, Association of Local Governments of Nigeria (ALGON), Imo State. Eze, who hails from Okporo Orlu, has three masters’ degrees. 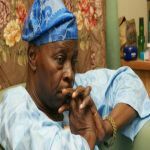 He was a former member of the House of Representatives, where he left his footsteps in the sands of time – unbeaten till date – in terms of his sterling legislative performance. He, too, towers above Nwosu. And, of course, when men like these gather, Uche cannot even be invited to serve dinner. Eze is believed to have the contact to mobilise the needed funds for governorship election. But much needs to be done as far as his popularity rating across the state is concerned. Also, many people think that a governor Chuma Nnaji would be better than a governor Uche Nwosu or the best candidate Okorocha might throw up. Astute banker, Chief Chuma Nnaji comes with corporate experience in the banking world, just like Governor Willie Obiano of Anambra State. What corporate experience would Nwosu bring to rob off in management of the resources of the state? As deputy governorship candidate of the PDP in 2015 and two-term member of the House of Representatives, he has learnt the intrigues, and understands the topography of Imo politics. On the other hand, we have an Iroko and genius, a man of intimidating and appreciable credentials with impeccable character, Hon ThankGod Ezeani, Aha Eji Aga Mba Ideato, Ogbaturu-enyi 1, also from Orlu zone. His garment so sparkles that it could provide the needed light for the people that have walked in darkness for about 2,190 days. ThankGod is a known entity in Imo State and beyond, both in business and politics, where his excellent performance is ever-fresh. 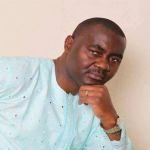 In the realm of politics, Ezeani has distinguished himself as a former member of the House of Representatives, where he served as vice-chairman of House Committee on Power and Steel. Apart from his performances on the floor of the green chamber, Ezeani brought home several Federal Government projects to his constituency and, indeed, Imo State. Till today, the Rural Electrification Project at Ideato remains his signature project. He was also instrumental to the massive power infrastructure that graced the South-East, especially the Ala-Oji Power Plant. At a time when power has become a huge challenge to the economic survival of the state, a governor ThankGod Ezeani could fix the power situation and light every home and office in the state. This hope is not built on fantasy but on what he had done with the legislative mandate given to him, as a federal lawmaker. As chairman of House Committee on Steel and Metallurgy, his team helped in reactivating the Aluminum Smelting Company (ASCON) in Akwa Ibom State, as well as the first phase reactivation of Ajaokuta Steel Rolling Mill. This is outside the numerous classical and realistic women and youth empowerment programmes that benefitted many all over Ideato. If a man is faithful in little things, he should be faithful in greater things. In the world of business and management, Ezeani has become a text-book to many, having set up and successfully managed his numerous industries to world acclaim. He plays crucial roles in the capital-intensive downstream sector of the oil and gas industry in Nigeria. 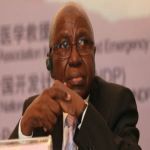 He is Chairman of The Index Group of Companies, which majors in Oil and Gas, Agriculture, Pharmaceuticals, Manufacturing and Production, Shipping, Electricals, etc. Besides his orange juice factory at Abuja, the industrialist-turned-politician also established MennOil Petroleum & Petro-chemicals Company Limited, a lubricating oil blending and chemical plant, located in Kaduna. 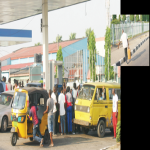 To bring his wealth home and extend the opportunities of economic manumission to his people, in line with the Aku rue ulo philosophy among the Igbo, Ezeani built a petro-chemical industry in his home-town. That is not all. Hon Ezeani is equally building another at Mgbidi in Oru West Local Government Area of the state. And, of course, in education, he towers above many. Even Governor Okorocha’s anointed Uche Nwosu fades into insignificance, when you look at the accomplishments of Ezeani in education. A Fellow of the Institute of Corporate Administrators, and The Energy Institute of United Kingdom, Ezeani is a member of Nigerian Food Science and Technology; Economic Society of Nigeria, and The Institute of Marketing, among others. The former Rep had his first and second degrees in Pure Economics, B Sc Econs and M Sc Econs respectively. 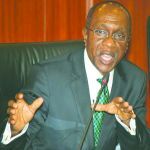 He bagged his doctorate (PhD) in Political Economy and Development Studies from the University of Abuja, and he is a recipient of several awards and recognitions within and outside Nigeria. If the current promotion of mediocrity in government and the strengthening of “my family business” should be halted, a politician of Ezeani’s pedigree should be considered a vibrant option. No one should blame the gods, should by chance, Nwosu emerges governor of Imo State in 2019, because we did nothing. God forbid! A governor Uche Nwosu would be a euphemism for Okorocha as third-term governor. And, under him, the ruination of Imo State would be disastrous.